So, what most of you will want to know after all this time is, Did they fall off the edge of the earth? Did they move to Australia and forget to let us know? Did they contract rabies and die horrible deaths? No, no, and no... we live on. It's just been a crazy season of life, and the first thing to go was any activity that required extra time and energy. Writing on a blog, for example. God is INCREDIBLE and FAITHFUL. Let's just start with the most important thing. We would have fallen off the edge of the earth if not for Him. He has sustained us and my heart truly cannot keep it in. That's why, if you got a Christmas card from us, you'll notice that I can't help but bring your attention to Him. I just can't make you understand how much I have learned about His greatness and my weakness in the past years. I'm not getting down on myself, I'm just being real. I honestly have nothing good in me except what He puts there. I have seen my lack, and it makes His fullness all the more incredible. If you don't know Him, ask me about Him... I'd be happy to introduce you. Our kids are growing at an insane rate. Literally. Anika has grown 2.5 inches in the last few months alone. But, as I implied, they are also growing up... into big people. Yikes. Anika is in 7th grade now, is loving youth group at church, and is doing hard-core science where she is studying words like "dendrochronology" and "uniformitarianism"... things that even a science-lover like me has to go look up. She is loving her horseback riding lessons, and even enjoys mucking out a stall when she gets a chance... what can I say, it's in her blood. (No, I did not brainwash her, she chose this on her own, thank you very much.) Asher is tackling 5th grade, and enjoying his new-found love of piano. He is a serious lego-master. He's like a super-hero at building things. He's bummed that Anika has grown so much lately, as he used to be only a quarter of an inch from overtaking her in height. He's a cool kid - I really dig him. Kelvin is working at a second grade level in school, and really has amazing handwriting. Seriously, it's nice. He likes to dance and sing with the broom when he does his chores in the morning, and he has learned to be nice to Hawa on most occasions. HUGE. HUGE. HUGE. Hawa is a first grader and has not had any major house-ruining kind of moments lately. We can smile now, but when water starting running out of Anika's room lights downstairs from Hawa's shower (upstairs), Mama was not happy. Anyway, the house is still standing, despite our little hurricane Hawa. She is an amazing little reader now, and loves to talk. If you've met her, you know that I am putting it mildly. They're all pretty awesome, if I do say so myself. Our family is meshing. We love adoption, and are thrilled to be used by the Lord to be a family to the fatherless, and a part of His plan to care for the orphan... but again, I'm gonna be real. This is hard. I have been on my face many times since our two additions came to join our family. I have wondered if we will ever be ok again. I have been so selfish and so hardened that I wondered if this "new me" would ever go away and leave the "used-to-be me" in my rightful place again. 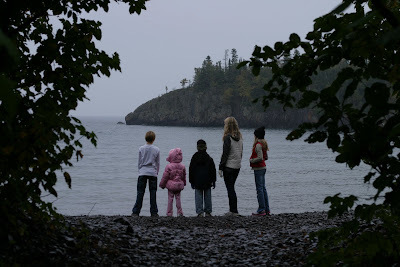 I have envied the families whose adoptions were simpler. I have dealt with (and continue to deal with) anger and bitterness and resentment and loss... and so have my kids... all of them. For each one of these scenarios, God is the answer. He shows us the hope that lies ahead. He softens me and show me a way out of my selfishness. He is showing me that I will never be the "old me" again, but that that's ok because he has better plans for the "future me" anyway. He forgives me as I deal with my ick, and reveals that He's the only one without any. He has been helping all of us to learn new and difficult things - the kinds of things that are the stuff of family. It's amazing, the perspective you get on God as a Father to us, when you become a parent yourself. I would go ever further and say that is is uber-amazing to get the perspective of Him as a Father as given through adoption... especially older child adoption. You just get this glimpse of yourself... coming to him just as you are. All your baggage, all your need, all your bad behaviors, wrapped around you and hanging off you like so many over-full laundry bags tangled around your flesh. He doesn't require you to shed your baggage before He will extend grace and love to you. He simply loves you and offers you a way out, and patiently waits to see what you will choose. So often, I have found myself ashamed that I seem to want my children to shed their baggage before I "feel" like extending them kindness and love. It's gross, really. I can't seem to stop myself from this... which is why I have been so aware of my lack, and so grateful for God's overabundance of mercy. I want to be like Jesus. He loves so tenderly and without demand for perfection. He wants ALL of his followers' hearts, and that means obedience and sacrifice... but He is so patient to lead us to holiness, knowing that it takes time, and a heart that is cultivated in love with Him, to shed the junk that comes stuck on and in us all. It shows me that I can't expect my children to shed the stuff they've come with without time and a relationship with me that's been cultivated in love and acceptance. It also demonstrates to me how beautiful it is that I am the same as they are; a child with so many entanglements... coming to a perfect Father who loves me so patiently and shows me a better way. Kelvin and Hawa are doing well. They have learned how to live in a family, how to be respectful, that it's best to tell the truth, that friendship is earned through being kind and thoughtful, and on and on. Most importantly, they've started to trust us more. We've not conquered that one fully yet, I think it will take more time to flush out those fears that hang on and cause them to rely on themselves rather than believe that we'll take care of them. But overall, they have so much more ability to trust us than they used to. I'm so proud of them. Anika and Asher are doing well too. They have learned how to live in a larger family, how to speak up (at least more than they used to), that mom and dad are still absolutely crazy about them, that doing what God called our family to isn't easy, yet it's still right and worth it, and on and on. We've not conquered all the issues with them either, but they are back to thriving instead of coping by hiding, and I'm so grateful for their perseverance and resilience. I'm so proud of them. Jason and I are doing well also. We've learned to lean on Jesus and one another, how to ask for wisdom and how to be amazed when God gives it so promptly, that we are broken vessels that need to be filled in order to do what we need to do, and on and on. We've not conquered it all, there is still so much that needs to be worked on and worked out, but overall, we know that our strength comes from the Lord, and that He is good and that we can trust Him. I forget all that so often. Everything; that we need to ask for wisdom, that we have to get filled in order to pour out, that God alone is my strength. I focus on what I can see, and sometimes that is messy. And I don't like it. And I get grouchy. And I complain. If only I could remember to keep my eyes on Jesus, I'd have so much more peace and joy. I'm working on that one. That's the gist of it. Gist is a weird word, isn't it? Our lives are full of school lessons, life lessons, and piano lessons. Honestly though, I don't feel we have too much else to report... just living life and teaching the kids and doing the day-to-day stuff. Jason is battling Lyme disease, after trying to figure out, since June, why he was feeling so strange and crazy tired. So, pray for him if you think of him. He's getting treated, but it's a long term thing not a short fix. (He's had to go gluten, sugar, and dairy free - YIKES. We are so NOT high maintenance food people - this is strange to have to put so much thought into what we prepare!!) We have seen both sets of parents in the last few months, which is wonderful. Our trip to Oregon this fall was a blast and much needed after not seeing my parents for a year and a half. And just this past weekend we had Jason's parents stay and get snowed in with our 18" snowfall! "It's beginning to look a lot like Christmas" took on true meaning around here. Well, enough is enough. I told you it would be long. I plan to try to write a bit more often from here on out, but don't hold me to that. I love to put my thoughts down, but certainly don't expect anyone to care! I just wanted to finally update people on our family since I have been so grossly negligent. Now you have the scoop. I really didn't know if that would ever happen. There has been so much competition for a "place" in the last 6 months, that it has been difficult to know if the kids would ever get to the point where they could let down their guards and enjoy one another. We have a long way to go, but I am beyond thankful to be seeing God's faithfulness to begin to bind us together as a family. So, while I am really enjoying this moment, I know that tomorrow we will deal with new regular things like jealousy, resentment, and competition over just about anything you could possibly imagine. Jason and I do not have to be on high alert at every moment of the day anymore... we have begun to earn the trust of our new children, and our consistency is finally believed. If we say there will be consequences for certain things, there will be. If we say that we will bless obedience, we do. We have established ourselves as the authority figures... and I know that all the adoption books say that the kids feel more safe as they start to trust that they do not have to take care of everything themselves anymore. It's all true, and it's all good stuff to work toward... but you know what? It's crazy hard. It's hard to watch your bio kids struggle as they feel small in importance when everybody centers the attention on the new arrivals, and they get left out of entire conversations while they are standing right there. It's hard to experience my newest children compete for attention, compete to be heard, compete to be loved... all because they are desperate for it, never really having felt those things solidly beneath them. It's hard to feel like an utter failure as a mother at times because I function to keep order right now... to run out of compassion... to run out of patience. I miss the days when I could just love on my kids because their hearts were already mine in full. It's hard to see my selfishness and yuck exposed. The really neat thing is, that if I choose to see all the hard stuff from a different perspective (namely, NOT from my selfish one), I realize that this is an incredible opportunity to be refined. I am certainly more aware of my need to depend on the Lord. I need him to give me wisdom and insight every day. I need him to fill me with his Spirit so that I don't act om my own, but as He desires. I need him to show me how to forgive, when I don't think I can. I need him to pour patience, kindness, gentleness, and love all over me, every day, so that I can pour it back out again. I fail so often. So very often. But He is faithful to show me where I fall short, and where he is strong... and he uses me despite myself. I love that about my God... he's so good. My weakness just shows off his strength. I don't know how long it will be until my family feels totally settled and normal to me. We're certainly not there yet. But, I do have confidence that we'll get there one day. And it won't be because Jason and I are good parents (although, of course, we desire to be that)... it will be because God, who has called my family together from the ends of this earth, is faithful to complete was he has begun. He will refine each of us, he will use this for his unimaginable good... because that's what he does. He heals, he binds up, he forgives, he renews and refreshes. He overcomes. My husband and I have sponsored kids before... kids we prayed for but never met. Kids whose names we knew, yet we had no knowledge of their lives. When we met Sarah, our perception of what a sponsorship relationship could look like changed forever. In June of 2010, we were part of the Liberia mission trip, and spent time at both Daniel Hoover Children's Village and at the Oscar and Viola Steward School for the Deaf. Sarah was deaf. She did not demand attention, but simply stood back and watched us interact with others. It was obvious that she wanted to be a part but just wasn't asserting herself. We later found out that she had only been at the Mission for a short while and had very few sign language skills... so her communication was severely limited and had been for her entire 8 years of life. We knew no sign either, but we both fell in love with her and decided to sponsor her. Our time together was spent simply holding her, smiling and playing little hand games. When our family spent a month in Liberia this past winter, we spent significantly more time with Sarah and the other children. She'd learned so much sign language, and we'd done our best to learn the alphabet and some basics... but still... pretty tough to communicate. She was THRILLED we were back, however. She'd spend all the time she could in our laps. We were able to bring a package and some pictures from our previous time with her as well. It was hard for all of us to say (sign) our goodbyes. Sarah had to leave the mission several months ago, and return to whatever family claimed responsibilty for her, after she started to frequently faint or have seizures. (I'm unsure which is accurate.) This week, we learned that she died tragically while staying with her family, in circumstances that seem to have nothing to do with her medical concerns. No, we didn't know her extremely well. We didn't know her hopes and dreams, or if she had any at all. We didn't know her history or the circumstances of her life before the mission. But, I have held her while she was sick with a high fever... and Jason gave her his big 'ol sandals to wear one day, which she thought was quite funny! My children have met her. We wrote her letters and picked out pretty dresses for her. We have a framed picture of her in our home. My point is, we loved her. 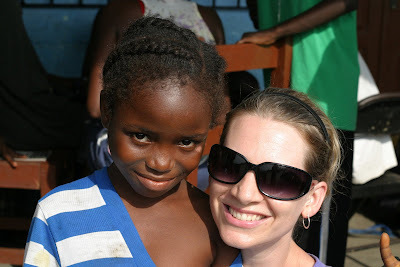 And we are extremely saddened that when we return to Liberia one day, we will not get to hold our Sarah. I will never know what we meant to her, but I am confident that she knew we loved her. I have been thanking the Lord that we had a chance to love her in ways that were tangible to her in the short life she had. I am grateful to have had the privilege of showing her that somebody cared... that she was of great worth to Jesus... if only through a smile, a letter, or a hug. Whether you realize it or not, your sponsorship of a child does the same thing... it shows them that they are worth something to Jesus, and that someone loves them. So, thank you, if that's something you do. The reality is that you cannot know what may be down the road for these children. When you pour into their lives, it is not in vain. I wanted to share this link from a fellow adoptive mom that I know because it really expresses how I feel... without me having to take the time to write it all down! Sonya graciously gave me permission to share it with you. I have not had many of her experiences, but lots of the things she addresses I can relate to. And even the song she mentions is one I heard a month or so ago, and tears rolled down my cheeks as it resonated with the truth that God has set inside my heart; God uses hard things. Anyway... wanted to share it with you. ~Kelvin was SUPER pleasant and respectful and hard-working during his school time with me this morning. ~ Asher (with real, not manufactured, kindness) allowed Kelvin and Hawa into his room to play this morning, and shared his things, without being terrified that they would be ruined for life. ~Anika volunteered to help Hawa with something instead of hiding in a book to avoid the chaos that is her little sister. ~ Less major behavior issues... and more ability to work through it with us instead. ~Less fighting between my Liberians... seriously, it was ridiculous before. ~ No one was outside my bathroom door this morning, looking under the crack at my feet as I got showered and ready... just waiting for Mom. Three kids actually were interacting (without disrespectfulness or fighting!!) and one snuggled in my bed. I really have nothing to complain about. AT ALL. Many, many adoption transitions look much more difficult than this. It's hard. I'm exhausted mentally and emotionally from the energy and time things take... preventing problems, being vigilant to see the problems, dealing with the problems. BUT, God is so faithful each day. It's not supposed to be easy. I am really focused on the core priorities... the Lord, Jason, and my kids. There's just not too much else that I have time for. I have no idea what's happening in the world. I have only read 2 short books in the last 3 months, which for me, is tragic. Never heard "Mr. Popper's Penguins" was being made into a movie until I saw a billboard in the cities last week (which better be good, cuz we love the book). Haven't talked to or spent time with most of my friends & family in many months. But you know what? I really am OK with that. This is where I'm supposed to be right now. I can get selfish. It's not pretty. Last night, I was DONE. I wanted the kids in bed so I could not hear, "Moo-mah" or "Mama", or "Mom" one more time. Jason was joking about seeking shelter and hiring extra protection for himself... so I must have been a little too obvious with my feelings. Anyway, we're making it. And I'm TRYING to look for the moments that matter. The ones that make you smile in the midst of the insanity. Like when Anika tells me I'm beautiful and looks at me with eyes that seriously communicate how much she adores me... and I well up with thankfulness for this precious girl. Or like when Asher giggles uncontrollably when I zerbert his belly... and then begs for more. Or when I ask Kelvin to tell me some things that make him feel loved, and he whispers in my ear, "hugs and kisses." Or when I pick Hawa up and hold her, and she turns her huge eyes to me and says, "My Mama jus ree-lee love me so mush." It helps erase the hard stuff. It makes it worth it. I know I'm totally doctrinally incorrect and ascribing humanness to the divine here, but maybe God feels the same way with me... exhausted from the stuff I try to pull, and the time and energy is takes to help me through my problems. But, maybe when I stop and fix my eyes on him, and tell him how much I need him and adore him, it makes it all worth it... and he sits back and smiles. So, I've been MIA for quite some time. That is due to the fact that life is just plain busy with 4 children! It's been seven weeks and one day since our kiddos came home after many YEARS of waiting. There are more adjustments than I can possibly imagine listing that we've been working through as a family. I also have wanted to be careful about posting anything until I was given the go-ahead... for the sake of other adoptions still in progress. So- this will not be an exhaustive update. I don't want to air all our "junk" on-line. Not because I want you to think we're fine and perfect, and oh-so-able to handle it all. We're not. We struggle everyday to be all that we need to be for our children right now. I just want to be really respectful of my Kelvin and Hawa's privacy as they learn and grow in how to be part of our family, and as we learn and grow in helping them. I do want to update any of you interested in what's going on in life though... at least a little bit. So many of you have prayed faithfully, and I can only hope that you will continue to do so as the Lord brings us to your mind... it remains a firm lifeline ~ knowing that others are interceding for us. So- The kids are amazing! Beautiful, happy, loving, affectionate, funny, energetic, and full of life. It is so fun to hear their excitement over things that we are so used to... "OOOH! Mama! See the helicopter!! See the squirrel! See the BEEEEG (big) truck!" They absolutely love the tire swing, riding bikes, jumping rope, eating tuna or sardine rice, seeing the animals at the zoo, playing tag in the backyard, interacting with other children, and so on. They love Curious George stories, have learned their shapes, alphabet letter sounds, and some concrete math concepts. With a few issues excepted, they are healthy (and brave! -They've had so many appointments, blood draws, shots, dental scrapings, etc!! Luckily, they get to go pick out a doughnut after each Doctor visit... so it's not ALL bad.) They sleep very well at night, and have adjusted to our cooler weather without batting an eye. They are both (overall) very respectful of their new home and others' belongings. We actually were quite surprised at this because after spending the month with them in Liberia, we assumed it would be otherwise. There are hard things. Things that take hours to work through sometimes... while three of the four children have to fend for themselves b/c there is only one of me. We pray constantly for wisdom and patience and perseverance... and God is always faithful to provide it. I wake up telling Jesus how much I need him... and I go to bed thanking him for getting me through another day. I suppose that's a good place to be... so very aware of how desperate I am for him in my life... so very aware that I am not able on my own. We are already seeing changes in life-long learned behaviors... not that we expect them to be eradicated anytime soon. We're brighter than that. 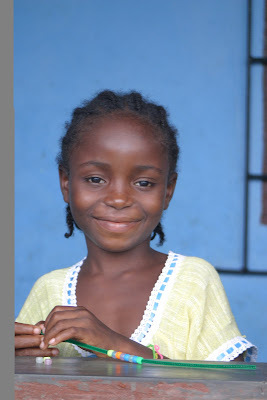 But, we do find encouragement in the fact that strong, clear boundaries and expectations just work with Liberian children. 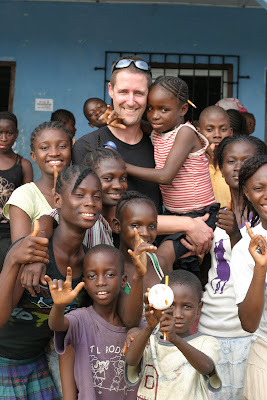 We know from being in Liberia that it's simply what they will respect. Consistent consequences for poor choices, and lots of praise and encouragement seem to be effective. Now, on some days, I see no effect whatsoever... and it's on those days when I wonder how we're going to muddle through. But when I step away from being "in" it constantly, I can honestly say that I am encouraged. Anika and Asher are so amazing. They have things they're working on too... things that are hard, things that take maturity and are a lot to ask of a 9 and 11 year old. But, they are incredible, and they encourage me so often in the way that they interact with their brother and sister. They certainly have struggles a lot. The hardest part, by far, is missing time with Jason and I. We have been so very divided in our attention because of the constant and immediate needs of Kelvin and Hawa, and it takes its toll on all of us. It is for a short season, and we can all feel it letting up a tiny bit already. For the first time since they've been home, we watched a movie where no one competed to be next to me... two were content on the ground, and two were by my sides. Little things like that have given me hope that the desperateness will slowly subside, and there will be an ability to spend one-on-one time with all my kids again, without World War III breaking out. What else can I cover in the few precious moments I have between putting them all to bed and going to bed myself? Uh,let's see... hair! OK, so the hair thing is not a big deal. I thought it would be. I actually really like doing Hawa's hair. It's soft and beautiful, and the artsy side of me enjoys making the fun little braid boxes or triangles, or whatever. Now, Hawa's hair is so short that I have few options. I cannot do the braids that I tried to learn in Liberia. It worked on the older girls' hair.. I was able to do those great braids b/c their hair was longer. Hawa's hair is so short, however, that it's just not possible for me. So, until we get some more length, I'll enjoy the ease of letting her hair be loose sometimes (it's so pretty just natural), or doing styles that work on short hair. Later, I'll have to do more research on styles for longer hair! I am getting through b/c I'm choosing easy stuff to do right now (time is an issue for me now too)... but I have a WORLD o things to learn! Kelvin's hair is a cinch. Whew. Before I go, can I just say that my husband is incredible? I cannot imagine anyone more amazing, more full of insight and wisdom, more supportive, more patient and kind, more dependent upon the Lord and more perfect for me. Just had to brag for a moment because I'd never be able to do this without him. Seriously... never. We are so in this thing together, and I am so, so grateful. So, you're wondering... "why the title 'WHEN YOU RISE UP'?" Well, I LOVE the passage in Deuteronomy 6:4-7 where Moses tells God's people the most important things they needed to know... "Hear O Israel: The Lord our God, the Lord is one. Love the Lord your God with all your heart and with all your soul and with all your strength. These commandments that I give you today are to be upon your hearts. Impress them on your children. Talk about them when you sit at home and when you walk along the road, when you lie down and when you rise up." (emphasis mine) It's so simple... maybe not easy, but simple. We are to love God with all that we are, and we are to teach our children to love God with all they are. And how are we instructed to do this? Through good conversation! :) How awesome is that? Just through being with our kids, talking to them... using everyday circumstances to take opportunities to teach them about our great God! So, from the time I "rise up" in the morning... my task begins. My privilege.... my ministry... to obey God in what he's given me to do. I love hanging out with my family, being a mom, pursuing God, rainy days, reading, and all things full of sugar. God has given me a passion for marriage, parenting and adoption/orphan care, and I eagerly await seeing what he will do with our family in the future.